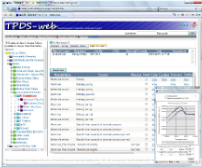 Network Database System for Thermophysical Property Data is developed and run by AIST, and is available for free. Thermophysical properties data (ex. Thermal conductivity, thermal diffusivity, heat capacity, density, surface tension and vapor pressure) for liquid, solid and melts are stored in this database. Organized session entitled with "Thermophysical property databases and related technology for materials informatics" will be held in the 39th Japan symposium on thermophysical properties, 13 Nov. 2018. Next ATPC will be held at Pacifico Yokohama, Yokohama City, Japan. Organized session entitled with 'Database and Standards' will be held in ATPC2016. ATPC is one of three world wide thermophysical property conferences. If you are interested in, please join the conference. The Asian Thermophysical Properties Conference (ATPC) is one of three world-wide conferences on thermophysical properties and has been held successively every 3 years. The conferences concern with experimental and theoretical aspects of the thermophysical properties of fluids, solids, foods, agricultural materials, alternative refrigerants; radiative properties; high temperature melts and micro gravity; transport properties; molecular simulation; thin film and their related materials; reference materials and data; environment and energy material. Asian Materials Data Symposium (AMDS) is the national symposium on materials data and database, mainly organized by Japan, China and Koera. AMDS2012 will be held at Okinawa Jichikaikan in Naha, Japan, on April 15-18, 2012, hosted by National Institute for Materials Science (NIMS), Japan. In this symposium, we will make a presentation about the system development status of network database system for thermophysical property data in NMIJ/AIST. For schedule and other detailed information, please check the website of AMDS2012. Thermophysical properties, electrical properties, XRD and optical properties data of thin films of TiN, Al2O3 and ITO have released. These materials have been used for our paper in "JJAP Special Issue: Thermal Design and Thermophysical Property for Electronics and Energy, Vol.50, No.11". Especially thermophysical property data were measured using thermoreflectance method developed at thermophysical properties section of AIST and are very reliable data. In our database, about 40 property data in all for these three materials have been recorded. The paper on our database is published in "JJAP Special Issue: Thermal Design and Thermophysical Property for Electronics and Energy, Vol.50, No.11". In this paper we describe the development of network database system for thermophysical property data of thin films that is updated from our current database, such as how to record or kind of the thermophysical property data of thin films are expected to be stored. Following the e-Therm 2008 held in June 2008, e-Therm 2010, "2nd International Symposium on Thermal Design and Thermophysical Property for Electronics and Energy" will be held from 15 to17 December, 2010 at AIST Tsukuba central in Tsukuba city, Japan. Session for scientific databaseis prepared. We invite you to presentation and participation in e-Therm2010. Thermophysical property data of high temperature melts of pure metals have been recorded and released in cooperation with Takehiko Ishikawa, an associate professor at Japan Aerospace Exploration Agency (JAXA). Density, surface tension and viscosity of 22 materials listed below were recorded. These properties have been measured by the electrostatic levitation method. And valuable data of melts such as tungsten has a high melting point exceeding 3,000 degrees celsius have also been recorded. 1.T.Ishikawa, P.-F.Paradis, T.Itami, S.Yoda, "Non-contact thermophysical property measurements of refractory metals using an electrostatic levitator", Meas. Sci. Technol., 16 (2005) 443-451. The introduction of Network Database System for Thermophysical Property Data appears in "AIST Today Vol.9 No.11". It introduces summary of the database, representative data and the browsing software. We gave a talk titled above at "Micro/Nano Scale Thermophysical Properties and System Design -V" on the second day of the 30th Japan Symposium on Thermophysical Properties. We examined the material structure configuration of thin film, and devised the data structure of the database based on it. And we also reported the development status of our database. If you want a separate print of this paper, please contact us through "CONTACT" on the menu. The paper on our database is published in "Journal of Japan Society of Information and Knowledge Vol.19 No.2". The contents of this paper was presented at JSIK 17th Annual Meeting held in May 2009. Now, Thermophysical Property Database Developed by JSTP and our database are running on the same program, and the concept of distributed become a growing reality. We reported the expansion of the InetDBGV browsing software and some instructions for use of new functions to seamlessly integrate and browse these databases. This paper is available for download from J-STAGE for free. Special issue of the 1st International Symposium on Thermal Design and Thermophysical Property for Electronics (e-Therm2008) is published as Japanese Journal of Applied Physics (JJAP) Vol.48 No.5 (2009), entitled with "Thermal Design and Thermophysical Property for Electronics". 14 papers are available online in all; 2 Thermal Design of Electronics-related, 5 New Measurement Method and Analysis of Thermophysical Properties-related and 7 Material Process and Physical Properties-related. The following paper was presented by our database group. Kenichi Kobayashi, Tetsuya Baba,"Extension of the Response Time Method and the Areal Heat Diffusion Time Method for One-Dimensional Heat Diffusion after Impulse Heating: Generalization Considering Heat Sources inside of Multilayer and General Boundary Conditions",Jpn. J. Appl. Phys. 48 (2009) 05EB05 (10 pages). It is possible to use simple search or data comparison of the browse system without depending on a certain OS or browser. Copyright 2006-2018 AIST All rights reserved. This site investigate user needs by using Google analytics.